Coachella 2017 weekend one is almost complete! Happy to report longtime mxdwn fav’s Grouplove just did a fun cover of the famous ’90s Beastie Boys’ song “Sabotage.” Band leaders (and principal singers) Hannah Hooper and Christian Zucconi for this rendition opted not to play as they usually do doubling on keyboards and guitar (respectively). Instead, they only sang bouncing around the stage with manic fury. 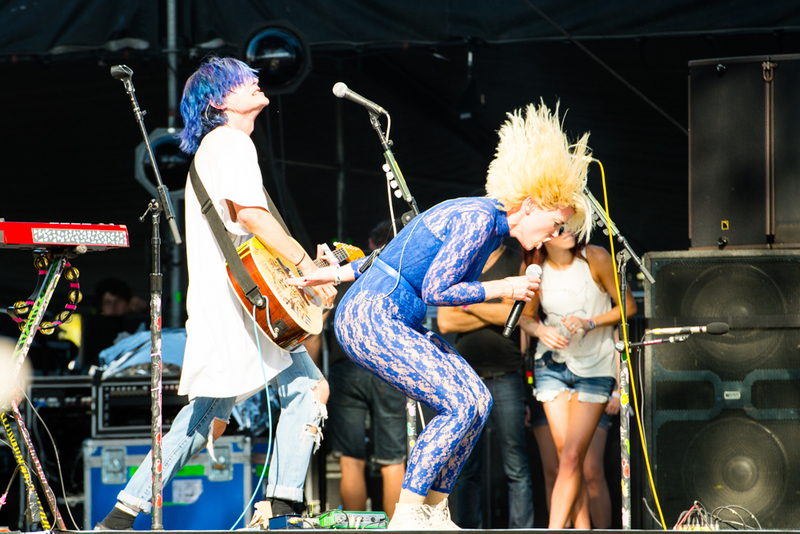 Grouplove is touring in support of their late 2016 release Big Mess. Last year we brought you news of their singles “Welcome to Your Life” and “Enlighten Me,” both of which you should go listen to the moment you finish reading this story. No, really. Do it.